The New Orleans Pelicans won a tiebreaker on Friday afternoon (April 12) with the Dallas Mavericks and the Memphis Grizzlies. 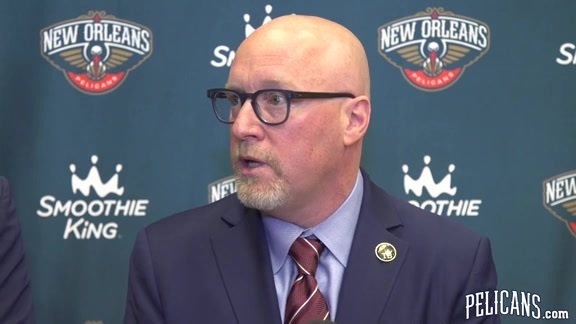 What is certain to be an eventful offseason that will either set the tone for the team’s next rebuild or a quick transformation back into a postseason contender begins Friday for Pelicans fans. The New Orleans Pelicans were at the mercy of the coin on Friday, and when it landed they were left sitting in the seat for the No. 7 pick in the upcoming NBA draft. It wasn’t long ago, six-years ago to be exact, when New Orleans Pelicans Superstar Anthony Davis was the prize possession and consensus No. 1 pick in the months leading up to the 2012 NBA draft.